Rayco Process Services, Inc. specializes in the installation of sanitary process piping systems and custom fabrication for the food, beverage and cosmetic industries. We work with end users, engineering companies, architects, commercial and industrial contractors. The company was started in 1984 by Ray Long Sr and Karen Long as a sole proprietorship under the name Ray's Welding. It was incorporated in PA in 1990. In March of 1992 the name was changed to Rayco Process Services, Inc.
Ray worked in various construction trades and sheet metal fabrication jobs in his early years learning many of the skills that make up his well-rounded experience. He has worked the last 35 years specifically in the food and beverage industry. He is president of the corporation, but has always, and still continues to work hands on in the field and shop. Karen is secretary/treasurer and fills the general manager and controller functions with the adept assistance of Susan Esh who has been an integral part of Rayco since 1989. Ray Jr helped around the shop in his teen years and then joined the company after attending vo-tech school for welding and Thaddeus Stevens School of Technology for sheet metal fabrication. His main roles are estimating and project management, but you often find him as one of the welder/fitter/fabricators on a project. 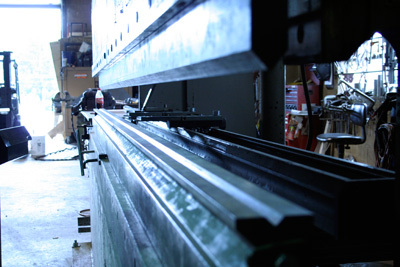 Our fabrication shop is located in Willow Street, PA. The shop crew fabricates many of the components required on our onsite projects as well as other customized parts for restaurants, nursing homes and grocery stores for their food prep and sanitary requirements. Customers also include machine shops, mechanical & industrial contractors and individuals with various welding and fabrication requirements. 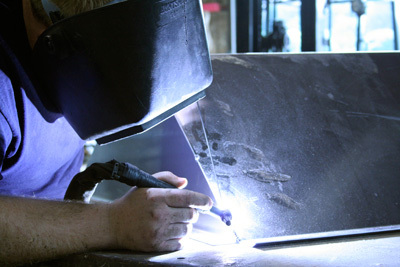 While our work predominantly requires TIG welding, we can also do MIG & stick and can work with various alloys of stainless, aluminum and with steel. Our shop foreman, Dave Lynch, joined us in 2001. Ian Weber joined us in 2008. He also has a lead postion in the shop. Both also participate in the onsite installation of projects. Rayco's mission is to complete each project in the most cost efficient manner with quality or work being the top priority. We understand the needs & requirements of our customers and will work to schedules and changes as they arise. It is our goal to always be welcome at a customer's site and to deserve the loyalty we hope to achieve.